A progress picture of Estación Pedregal. 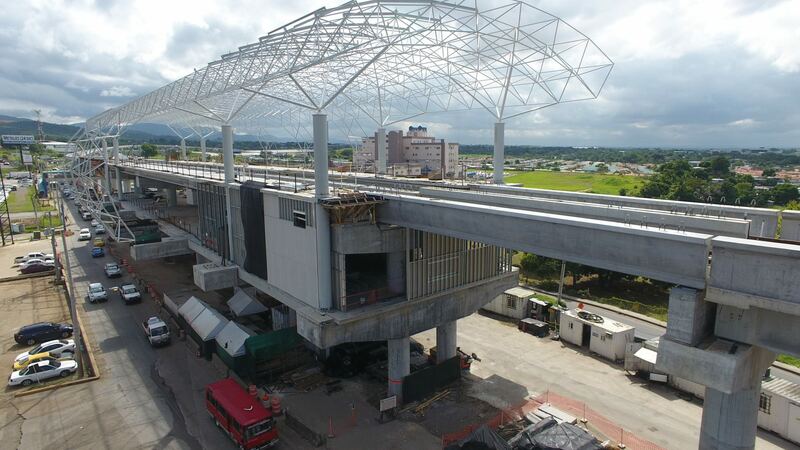 Credit: Panama Metro. 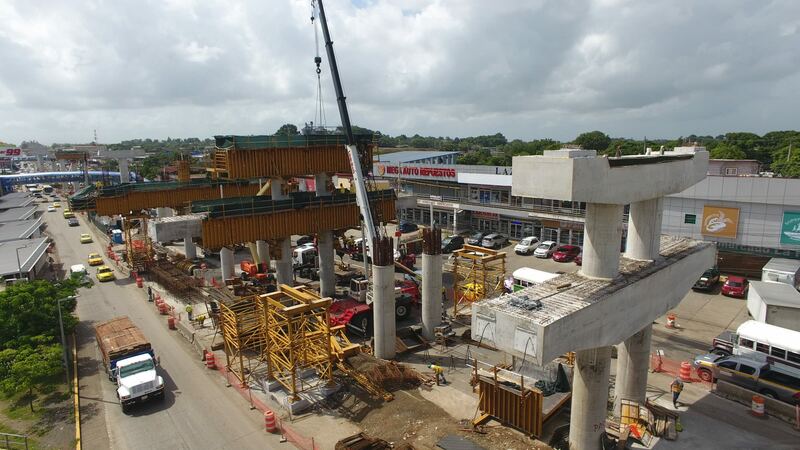 Work on Panama City’s second metro line has passed the half way mark almost two years after construction began. 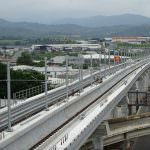 In total, 19km of the 21km elevated line has been laid, with track work continuing on the viaduct over the Pan-American Highway and the Domingo Díaz road. Much of the work is complete at stations Pedregal, Las Acacias, Hospital de Este, Cincuentenario, San Antonio and Las Mañanitas. Roof, escalator and stair installation is still to be complete. 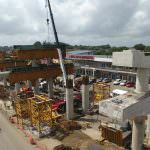 In total there will be 16 new stations on the line. 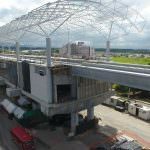 According to FCC, one of the firms contracted to build the extension, there are currently 37 active work sites on the project with approximately 4,000 workers and more than 100 sub-contractors. The route for Line 2 highlighted in green. 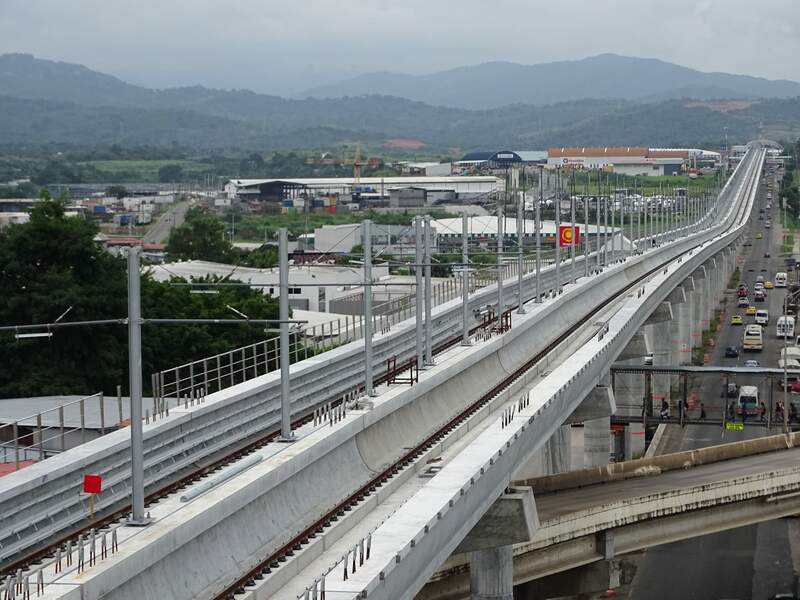 Credit: Panama Metro. 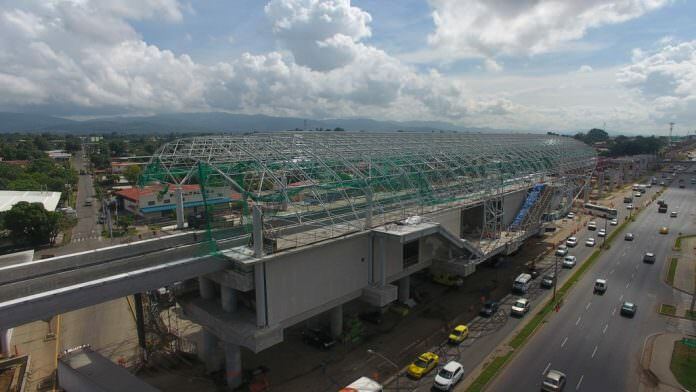 All the stations are expected to be finished in the next few months, as well as the civil engineering and installation of electrical, communication, fire protection and water supply systems. Line 2 runs east-west, connecting to the north-south Line 1, and is being developed because of “very restricted growth capacity of the existing road system”, according to the metro operator. Once operational it will have the initial capacity to carry 16,000 an hour but is designed to carry more than 40,000 an hour. 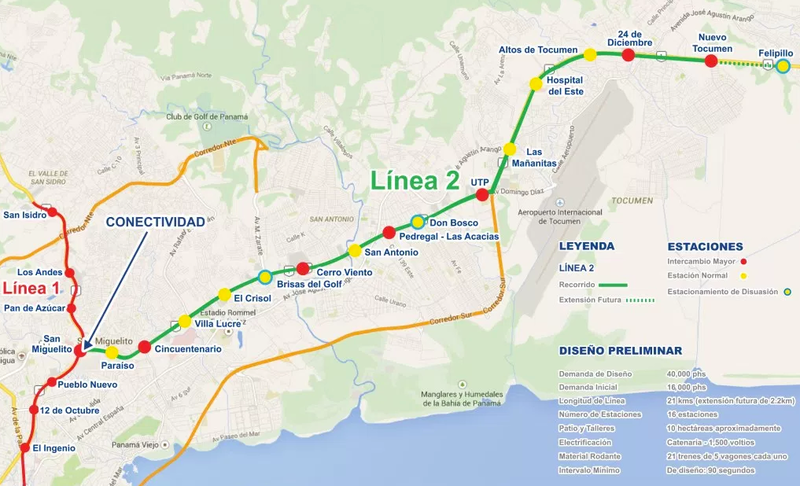 A future 2.2km extension of Line 2 will take it to Felipillo. Plans are currently in place to add a third line to the metro system too.